How to Make Curtains for the Very Novice and Nervous! You are here: Home / DIY / How to Make Curtains for the Very Novice and Nervous! This week’s Make Something Monday post has a disclaimer in the video. Why? Because I wanted to feel all technical and important. 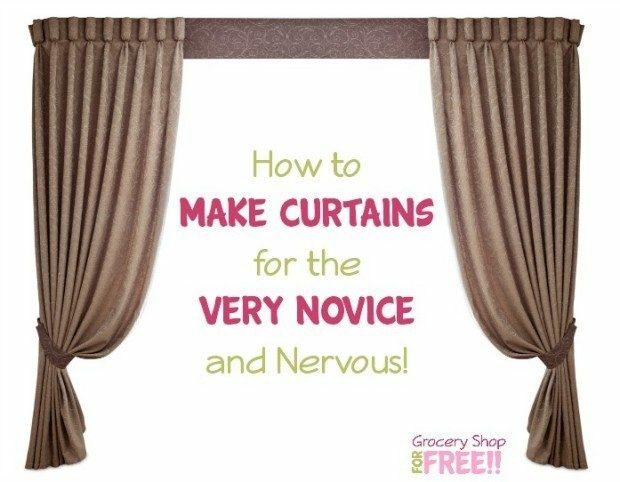 I really don’t need a disclaimer but to be honest, I wanted everyone to understand that the “How to Make Curtains for the Very Novice and Nervous” is a video for those who may have put too much thought into making curtains. I offer tips for no sew curtains and a stress free way to make your own curtains. Here are a few products mentioned in the video: If you want to see what these have to do with sewing, you may want to watch this quick no fuss curtain making video!